Kids love sand! 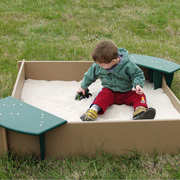 Sand and water play is even part of a pre-school playground curriculum. 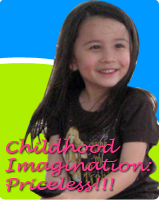 Our collection of sand play events including playground sand diggers, sand and water tables, play sandboxes for kids / toddlers and more. 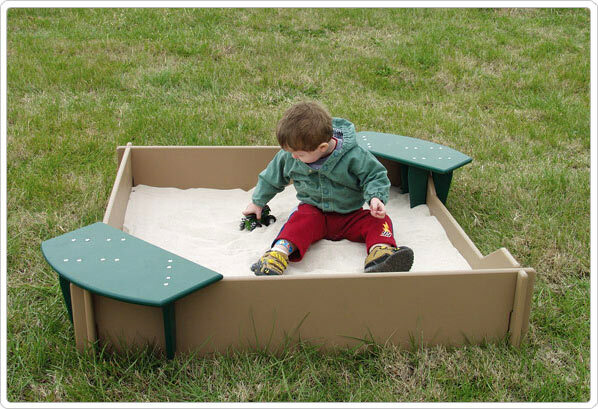 Whether for backyard playground, school playground, daycare or park playgrounds, our childrens sandboxes , sandbox play items , sand and water tables come in multiple colors. 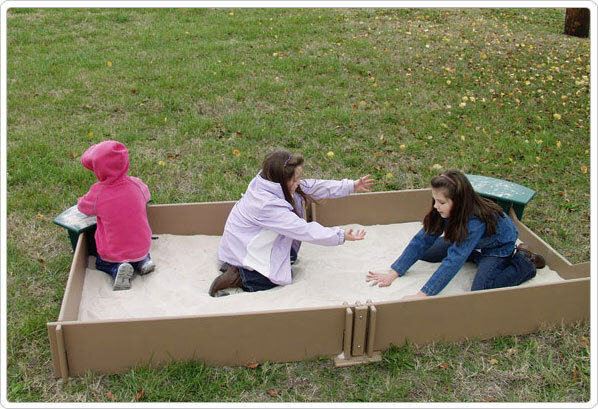 We include more playground sand and water play table activities such as Tot Town Waterplay, Sand/Water Snack Shop, Sand and Water School houses and more. Our sandbox diggers, sandbox backhoes for future construction workers are all commercial sand diggers. 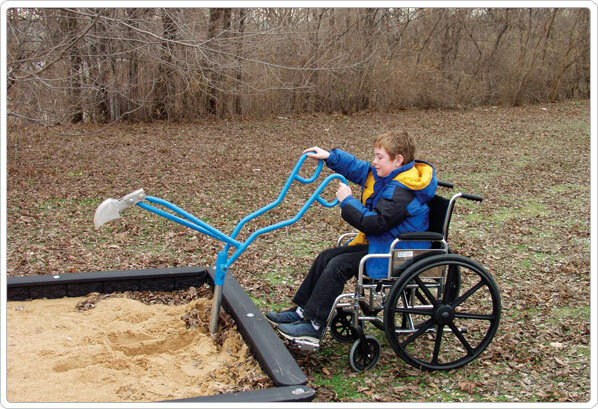 SportsPlay's Sand Digger is a great way for kids to play in the sand and dirt. 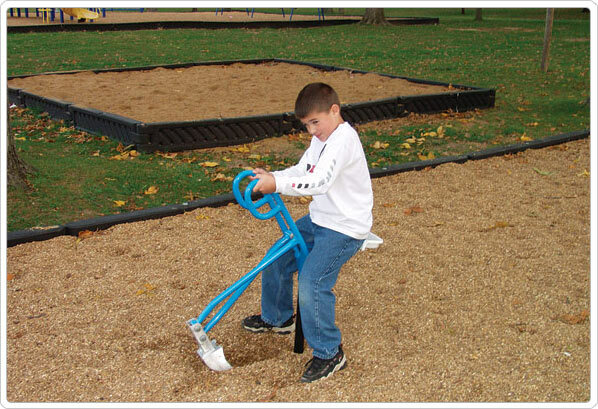 The aluminum digger has a scoop on the front that kids control with the easy-to-grasp handles. The blue powder-coat paint finish won't chip and helps prevent rust. 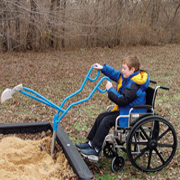 SportsPlay's ADA Sand Digger is a great way for kids with disabilities to play in the sand and dirt. The aluminum digger has a scoop on the front that kids control with the easy-to-grasp handles. The blue powder-coat paint finish won't chip and helps prevent rust. 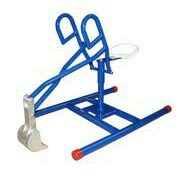 Sportsplay's 360 degree , turning, Portable Sand Digger is a great way for all kids to play in the sand and dirt. 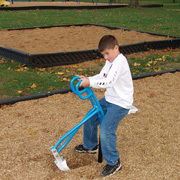 The aluminum digger has a scoop on the front that kids control with the easy-to-grasp handles. The powder-coat paint finish won't chip and helps prevent rust. 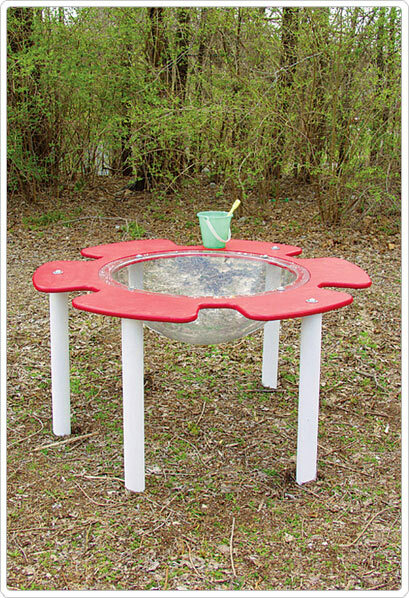 Single bowl , six openings for sand or water play! 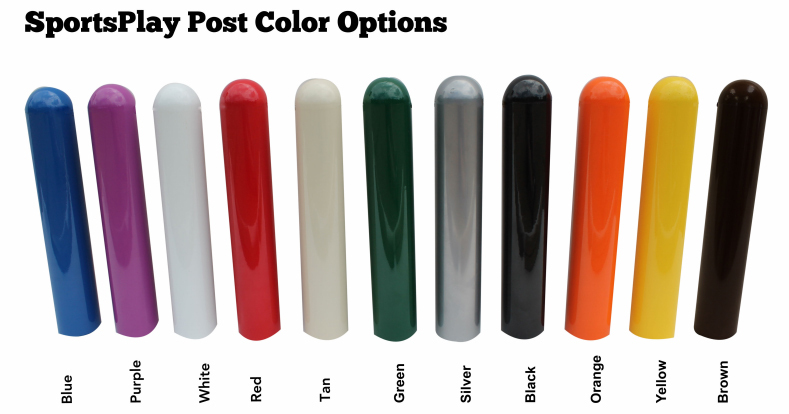 Plastics colors are available in red, blue, yellow, green or tan. Post color choice is always white.